Katja Ebstein was just 25 years old when she represented Germany at the Eurovision Song Contest for the first time. She was born in Girlachsdorf (now Gniewków, Poland) and would go on to represent her country two more times: in 1971 and in 1980. Her first attempt took place in 1970, with 'Wunder gibt es immer wieder'. Written by Christian Bruhn and Günter Loose, the song has a positive message: there is no point in complaining because miracles happen all the time, so one will inevitably happen for you too. At the close of voting, it had received 12 points, placing 3rd in a field of 12 competitors. 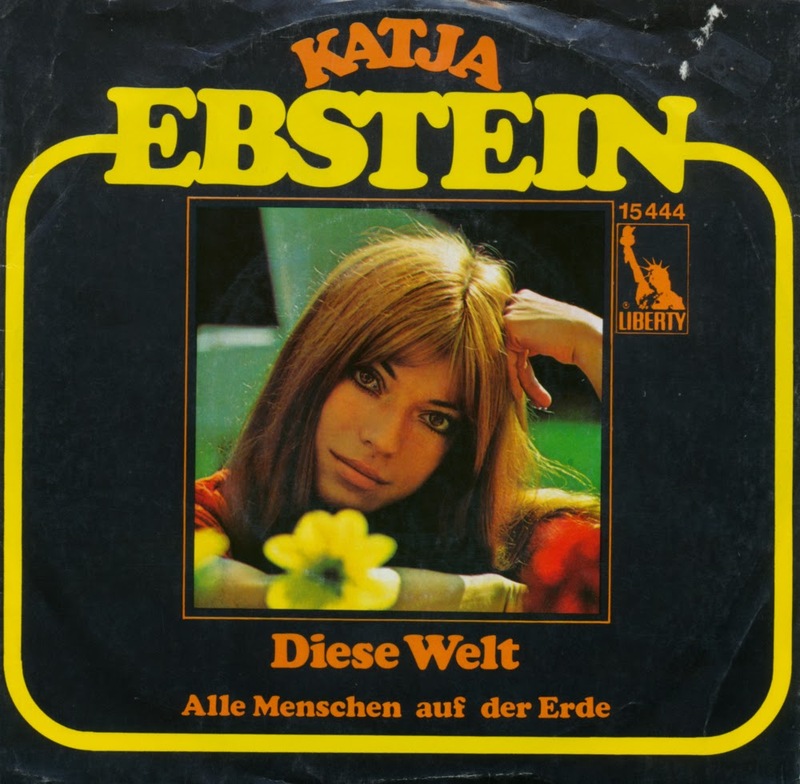 'Diese Welt' ('This world') was the German entry in the 1971 Eurovision Song Contest, performed in German by Katja Ebstein. 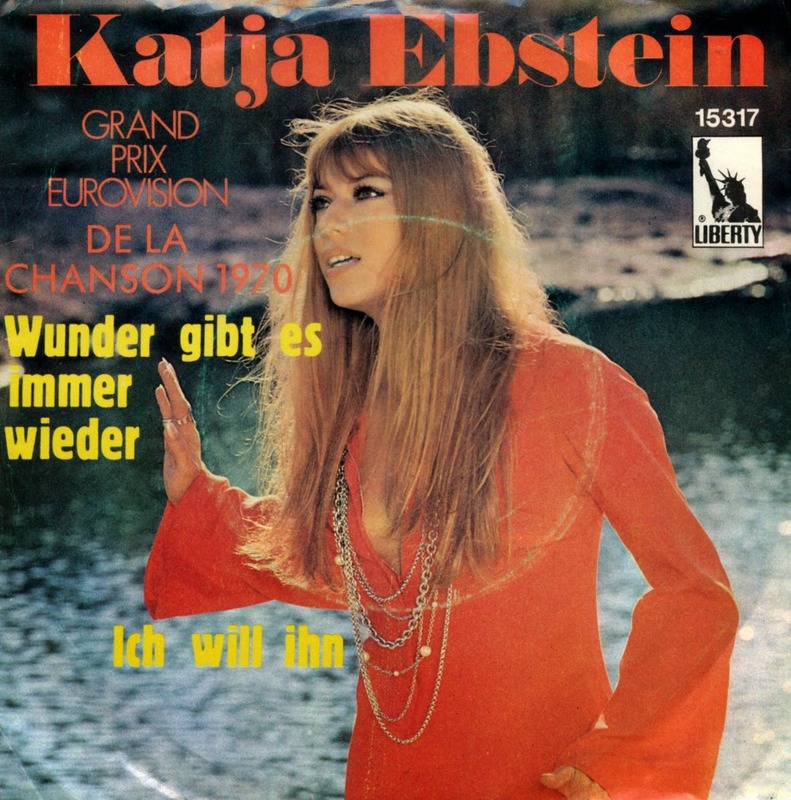 This was Ebstein's second consecutive Eurovision entry; she had represented Germany at the 1970 contest with 'Wunder gibt es immer wieder', which finished 3rd in a field of 12 competitors. At the close of voting, this song had received 100 points, placing 3rd in a field of 18 competitors. The song deals with the wonder of the world, with Ebstein singing that it 'is a gift which life gave us' and reminding her listeners that what becomes of it is up to its inhabitants. Ebstein also recorded the song in English (as 'River run, river flow'), French ('Une autre rivière') and Spanish ('Este mundo'). 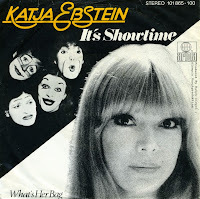 Not content with just a German version ('Theater') and a French version ('Théàtre'), Katja Ebstein also recorded her 1980 entry for the Eurovision Song Contest in English as 'It's showtime'. Like the French version, this English version did not appeal much to the people speaking that language, as it did not chart in the UK. 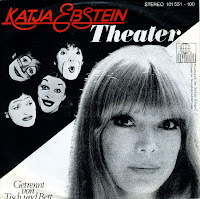 Katja Ebstein performed 'Theater' during the 1980 Eurovision Song Contest. This is rather well known, for she reached second place. It's less wellknown that she recorded several versions of this song in other languages. One of them is the French version, 'Théàtre', a rather literal translation of the German song. The B-side is not a French version of the B-side of 'Theater', 'Getrennt von Tisch und Bett', but another song by Ebstein, translation into French as 'Qu'est-ce qu'elle a'. 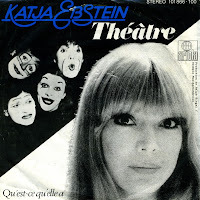 Katja Ebstein was born on March 9, 1945 in Girlachsdorf, Germany (now Gniewków, Poland). She released her debut album 'Katja - die Stimme' in 1970. That same year she represented Germany during the Eurovision Song Contest with 'Wunder gibt es immer wieder', reaching third place. This encourages her to try again in 1971. But the song 'Diese Welt' again reached third place in the Contest. Nine years and several albums later, Katja participated in the 1980 Eurovision Song Contest with 'Theater'. Written by Ralph Siegel and Bernd Meinunger, this reached second place. If Ebstein would have participated once more, who knows... she might have won. We'll never know. I actually bought this single in 1980 for 1 guilder. One or two years later, after barely playing the single, I exchanged it with my sister for Visage's 'Fade to grey'. In my current administration, this would have been single no. 61. Now it has become number 3744.